"NASA Marshall Space Flight Center in Huntsville played a leading role in building the Saturn V rocket that ultimately carried man to the moon," Mayor Tommy Battle said. 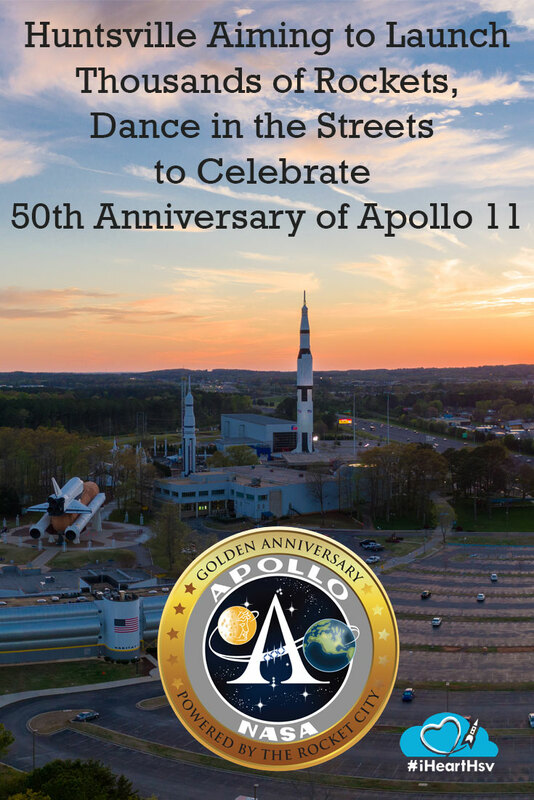 "There is no better City to celebrate the 50th anniversary of that remarkable feat than Huntsville in 2019. Today, our community remains fondly known around the globe as the "Rocket City" - both because of our past achievements and the momentum of our continued excellence in aerospace. 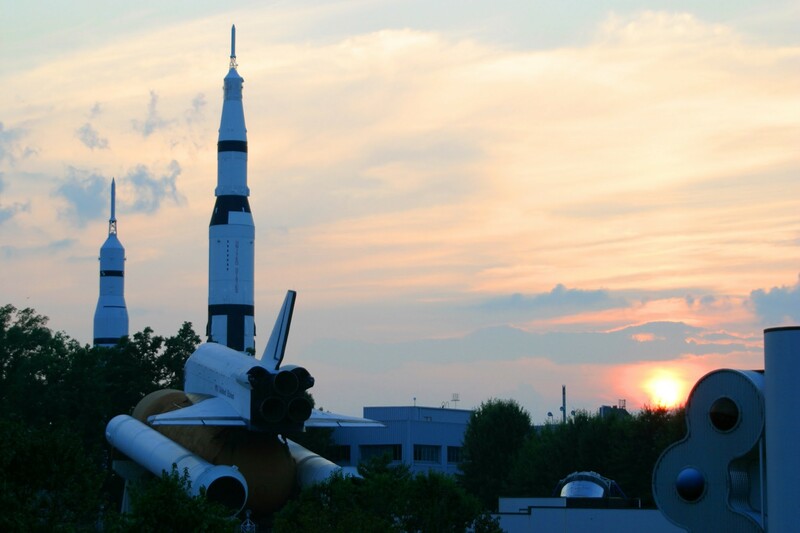 We encourage our neighbors, both near and far, to visit Huntsville and experience the many planned activities and events as we celebrate one of America&apos;s greatest achievements." Throughout 2019, 256 Magazine, the Valley&apos;s CW and the USSRC will also look to the future and the upcoming launch of the Space Launch System. A Parade of Rockets will be help us remember the Apollo era and the future SLS era utilizing a 5-foot-tall model of NASA&apos;s SLS rocket. The rockets will be available throughout all the Tennessee Valley for exhibit at local businesses and organizations. The SLS models can accept traditional launch day markings or custom decorations to make a colorful Rockets on Parade throughout the valley. Throughout 2019, the USSRC will produce a reenactment of the moon landings of the Apollo era. We are working through production logistics of this event to include an outdoor reenactment at the USSRC&apos;s lunar crater surface and an indoor production for our visitors. Amateur Radio operators participate with other "Ham" operators around the world publicizing this important event. It benefits the City and the S&RC to have all this interested generated and getting one of our "Special Event, W4A,” QSL cards. They are created just for this special event. Special permits by The HARC (Huntsville Amateur Radio Club) and club station K4BFT. July 16, 1969 - 50th Anniversary of Apollo 11 Launch. National Media to be invited to USSRC to commemorate efforts of NASA, Contractors, and specifically Marshall Space Flight Center workforce dedicated to Mission success. Join us in downtown Huntsville to remember the Apollo 11 50th Anniversary. We&apos;ll have a parade to Courthouse Square featuring Marshall Space Flight Center&apos;s Lunar Roving Vehicle replicated by today&apos;s workforce at Huntsville&apos;s Polaris ATV facility. And we will, as we did 50 years ago, dance in the streets on Courthouse Square to celebrate the Apollo 11 moon landing.